The Issues: What limitations stem from Article III's language that the federal judicial power extends to "cases or controversies"? Standing doctrine confuses both lower courts and litigants, because the Court manipulates the doctrine to serve other objectives. When the Court wants to reach the merits of a case, the standing doctrine is often relaxed. Conversely, when the Court wishes to avoid deciding the merits of a case--or perhaps, when it wants to shut a whole category of cases out of court--, the requirements for standing are tightened. The standing doctrine consists both of constitutionally-derived rules and judicially-created gatekeeping ("prudential") rules. The Court has found Article III to require that plaintiffs demonstrate injury-in-fact, that the injury in question is fairly traceable to the defendant's challenged action, and that the injury is one that could be redressed by a favorable decision. Standing has been an issue when taxpayers have challenged expenditures of general tax revenues. In 1923, in Frothingham v Mellon, the Court announced that a taxpayer's mere ideological opposition to an alleged illegal expenditure of federal tax revenue failed to provide a sufficient basis for standing. In Flast v Cohen (1968), however, the Court found that Florene Flast had standing as a taxpayer to challenge as a unconstitutional exercise of the taxing and spending power the use of federal dollars to pay for instructional materials in religious schools. The Court saw a critical to taxpayer standing that the plaintiff allege a specific constitutional limitation--in this case, the Establishment Clause--on the spending power had been violated. In a twist added in the 1982 case of Valley Forge Christian College v Americans United for Separation of Church and State, the Court concluded--in a case involving a donation of federal property to a religious college--that taxpayers lacked standing to challenge an Establishment Clause violation when Congress was exercising its power under the Property Clause rather than the Spending Clause. Environmental suits have produced several important decisions in the area of standing law. 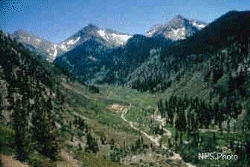 In Sierra Club v Morton (1972), the Court declared that an environmental organization would have standing to challenge development in the Mineral King Valley of California, on land owned by the National Forest Service and National Park Service, if it could show that its members were likely to suffer an aesthetic injury were the development to go forward. The next year, in U. S. v SCRAP, the Court found that five law students who formed a small environmental group had standing to challenge a decision of the Interstate Commerce Commission allowing a 2.5% increase in rail freight rates. The Court accepted SCRAP's argument that they were likely to be injured if the rate increase went into effect because the increase would disproportionately affect recycled goods-- and if fewer goods were recycled, the group would be more likely to encounter litter on its hikes around the Washington, D. C. area. In the important case of Lujan v Defenders of Wildlife (1992), the law relating to environmental standing sharply departed from the relaxed approach taken in the two earlier cases. The case involved a national environmental organization's challenge to a Dep't of Interior rule declaring that federal agencies had no duty to consult with DOI about the impact their projects in foreign countries might have on endangered populations of animals. The Court found the organization lacked standing even though the complaint asserted that members planned to visit certain foreign countries where they hoped to see endangered species threatened by projects receiving federal assistance ("too speculative" an injury, according to the Court), or visit zoos where these animals might be less likely in the future to be found ("beyond all reason," said the Court). The Court also rejected standing based on a citizen suit provision in the Endangered Species Act. Finally, four members of the Court agreed that even if the plaintiffs could have met the injury-in-fact test, standing would still not exist because the alleged injury might not be preventable by relief granted if the court ruled in the defendant's favor. Mineral King Valley, where planned development was challenged by the Sierra Club. Three standing cases in the readings show how difficult standing might be to establish in an era of tightened standing rules. In Warth v Seldin (1975), the Court threw out a suit brought by persons challenging exclusionary zoning ordinances of a wealthy suburb of Rochester, New York. The Court said the plaintiffs failed to identify a specific project that would have been built but for the allegedly unconstitutional ordinances. Other alleged basis for standing were rejected on grounds of an insufficient showing of causation or lack of redressibility. In City of Los Angeles v Lyons (1983), the Court dismisses a suit for injunctive relief brought by a Los Angeles motorist who had been rendered unconscious by what he alleged was the LAPD's unconstitutional employment of a chokehold as a method of subduing suspects. The Court said that while Lyons undoubtedly had standing to sue for damages, a suit for injunctive relief required him to show there was a real and immediate threat of him being subjected to another chokehold--something the Court said he could not do. Finally, in Allen v Wright (1984), the Court found that plaintiffs challenging tax exempt status for racially discriminatory private schools failed to show that the injuries they alleged were "fairly traceable" to the defendant's (the I.R.S's) illegal action (granting of tax-exempt status). The Court announced two major standing decisions in 2007, both decided by 5 to 4 votes. In Massachusetts v Environmental Protection Agency, the Court found that the state of Massachusetts had standing to challenge the EPA's refusal to regulate carbon dioxide and other greenhouse gases. The Court said that states are entitled to special consideration when it comes to standing issues, and thus found the state's alleged injury to its citizens and its natural resources caused by the failure of the agency to limit greenhouse emissions a sufficient basis for standing. Rising sea levels along the state's coast, potentially caused by the EPA's failure to regulate greenhouse gases, were viewed as being an actual or imminent injury sufficient to establish standing. The Court observed that "the harms associated with climate change are serious and well recognized." In Hein v Freedom From Religion Foundation, however, the Court adopted a new, more restrictive view of taxpayer standing. The Court concluded that Freedom from Religion Foundation lacked standing to challenge a White House program on faith-based initiatives. Taxpayer standing, the Court said, reached only congressionally-funded programs, not Executive Branch initiatives such as one that helps religious charities win federal grants. Standing became the Court's way out of making a highly controversial decision on the constitutionality of state laws banning gay marriage in the 2013 case of Hollingsworth v Perry. By a 5 to 4 vote, the Court ruled that proponents of California's Amendment 8 (overturning state legislation legalizing gay marriage) lacked standing to appeal a federal district court decision invalidating the amendment after the State of California chose not to appeal. Writing for the majority, Chief Justice Roberts said the Court "had never before upheld the standing of a private party" to defend a state law, and that the plaintiffs had only a "generalized grievance" with the court's ruling. Justice Kennedy, in dissent, warned that the decision would give enormous power to a single federal district court in cases where state officials agree with the outcome, and also noted that the initiative process that led to Amendment 8 was intended to be an end-run around state officials who might not always be responsive to the public. The dissenters argued that the Court should have given deference to California's decision that the appellants had a right to defend Amendment 8 in the appellate courts. The Court has maintained that to render advisory opinion's on a law's meaning or constitutionality is inconsistent with the Article III limitation that its power extends only to cases or controversies. In 1793, President George Washington asked the Court whether U.S. treaty obligations required the United States to allow French citizens to sail out of U.S. ports in armed ships. Chief Justice John Jay replied that his Court lacked the power to answer the President's question, however important an answer seemed to his Administration, noting that it was possible the Court might have to answer that question in a real future case and could not be put in the position of being bound by an answer written in a letter. If a state court decision rests on "independent and adequate state grounds," then regardless of how the U. S. Supreme Court resolved the federal issues presented in the case, the result of the case would remain unchanged. The Court has said that were it to accept jurisdiction in such a case, it would be rendering an advisory opinion in violation of the Constitution's command that the federal judicial power is limited to real cases and controversies. The difficult question for the Court has been how to determine whether a state court decision in fact rested on independent and adequate state grounds when the state court discussed both federal and state law in its opinion. Michigan v Long (1983), tries to articulate an approach for answering that question. In the case, the Court says it will assume that it does have jurisdiction unless the state court makes a "plain statement" in its opinion that it is resting its decision on an independent state ground. In a strong dissent, Justice Stevens argued that a sensible allocation of scarce judicial resources, and proper respect for stare decisis and state courts, dictated an opposite presumption from the one adopted by the Court. The case-or-controversy limitation on the judicial power also generally prevents a federal court from deciding a question that once affected the rights of litigants, but no longer does. Moot, and therefore non-justiciable, cases include challenges to convictions after the convicted defendant has died, challenges to the legality of a war that has ended, and challenges to restrictions placed on a business that has since closed. The famous case of Roe v Wade, however, illustrates one exception to the mootness rule. 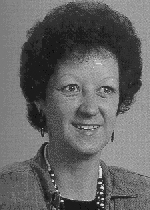 In that case, the Court considered Jane Roe's challenge to a Texas abortion law long after her pregnancy had ended. The Court said that if an imporant right is denied, and the application of the mootness rule would mean that the denial of that right--though likely to continue--would escape judicial review, the Court has jurisdiction to consider the case and, if appropriate, vindicate the right in question. In DeFunis v Odegaard (1974), the Court found moot a white applicant's challenge to a law school affirmative action policy. Four years before Bakke, the case was widely anticipated to resolve the key question of how affirmative action programs should be evaluated under the Equal Protection Clause. The Court, however, noting that DeFunis had been ordered admitted by a lower court and was--at the time of Supreme Court argument in the case--a second-semester, third-year law student at the school whose policies he had challenged, concluded the case was moot. Four members of the Court strongly disagreed with the Court's conclusion on the mootness issue, suggesting that the majority was just trying to avoid a judicial hot potato. Four years before the Court struck down a Connecticut law banning the sale, dissemination, and use of contraceptive devices in the landmark case of Griswold v Connecticut, the Court considered a declaratory judgment action seeking to enjoin future enforcement of the law on the grounds that it violated the Constitution (Poe v Ullman (1961)). On a 5 to 4 vote, the Court dismissed the action for lack of a case or controversy. The Court noted that no prosecution under the challenged law was pending, that only one prosecution had ever been brought under the law, and that contraceptives were openly sold in Connecticut drugstores. Writing for the Court, Justice Frankfurter concluded that the plaintiffs failed to show the real threat of prosecution necessary to have their case heard. Frankfurter declared, "This Court cannot be umpire to debates concerning harmless, empty shadows." Four dissenters took strong issue with the Court's dismissal of the case. Dissenting Justice John Harlan concluded the suit was neither collusive nor too abstract for resolution, and that the threat of prosecution under the law was real. In Epperson v Arkansas (1968), the Court reached the merits of a declaratory judgment action brought by an Arkansas biology teacher challenging a state law authorizing prosecution of persons teaching the theory of evolution in public schools. Even though there had been no recent prosecutions under the law and the likelihood of a prosecution against Epperson seemed remote, the Court said the case--unlike Poe v Ullman--presented no "double contingency." Cases are appropriately dismissed, according to the Epperson Court, only when the Court is unsure the state will prosecute AND, if it chooses to prosecute, whether it will choose to prosecute someone in the position of the plaintiff. Here, the Court said, if Arkansas brought a prosecution under its anti-evolution law, it would be brought against someone like Epperson. decided her challenge to Texas's abortion law. 1. Is the policy against issuing advisory opinions supported by the fact that a proposal to expressly give the Supreme Court the power to render advisory opinions was defeated in the Constitutional Convention of 1787? 2. Is a "controversy" different than a "case"--or just a type of case (i.e., criminal "cases" and civil "controversies")? 3. If a party is willing to spend the time and money necessary to litigate, why can't we assume that they must be--in some way they find significant--injured by the law or action that they challenge? 4. If you were charged with drafting a state constitution, would you limit the state judicial power in the same ways that Article III has been interpreted to limit federal judicial power? 5. Do you agree that the evidence shows that the Court has frequently manipulated standing doctrine to serve other objectives? 6. Why would you expect "conservative" judges to generally favor stricter standing rules than those supported by "liberal" judges? 7. Do you agree that as a general rule taxpayers should not have standing to challenge what they contend is an illegal expenditure of their federal tax dollars? 8. Is the general rule against taxpayer standing based on Article III considerations or prudential considerations (or both)? 9. If a shareholder of even one share of a corporation has standing to challenge actions of a corporation's board, why shouldn't taxpayers (as "shareholders of the government") have standing? 10. Should Flast have overruled Frothingham? 11. Why did attorneys for the Sierra Club fail to allege a more specific injury to their members, rather than just the organizational concern about the proposed development in Mineral King Valley? Did the attorney's decision jeopardize the Sierra Club's case? What should the Sierra Club allege in an amended complaint? 12. Overall, is Sierra Club v Morton a good or a bad decision from the standpoint of environmentalists? Why? 13. What do you think of Justice Douglas's proposal in Sierra Club to give standing to trees, waterfalls, and other inanimate objects? 14. Which is more remote and speculative, the injury found sufficient to establish standing in SCRAP or the injury found insufficient to establish standing in Lujan? 15. If Defender of Wildlife members had actually purchased airline tickets to travel to areas threatened by proposed AID projects, would the Court have found standing in Lujan? Would the tickets have to be non-refundable? 16. 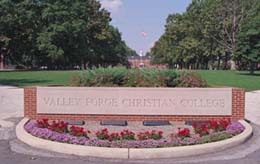 If the plaintiffs in Valley Forge would have standing under Flast to challenge a federal grant of $577,000 in cash to a private religious college, does it make sense that they lack standing to challenge the federal government's donation of a $577,000 piece of property to a religious college? Could anything of constitutional significance turn on this distinction? 17. Given the Court's analysis in Warth v Seldin, what plaintiff would have standing to challenge the constitutionality of exclusionary zoning practices? Do you agree that low and moderate income people who want to live in Penfield but can't find affordable housing would seem to be the most appropriate parties to bring such a suit? Do you agree with Justice Brennan's description of the Court's requirement that plaintiffs be able to point to a specific project that would have met their needs but for the ordinances is "a Catch-22"? 18. After reading these standing cases, do you feel you could identify which standing requirements have a constitutional basis and which are prudential requirements that Congress is free to change? 19. The four dissenting justices in Lyons v Los Angeles contended: "Under the view expressed by the majority today, if the police adopt a policy of "shoot to kill," or a policy of shooting 1 out of 10 suspects, the federal courts will be powerless to enjoin its continuation." Are they right? Would anyone have standing to challenge such a policy? 20. Who has the better argument on the question of when a Court should find a decision below is supported by "independent and adequate state grounds"--Justice O'Connor in her opinion for the Court in Michigan v Long, or Justice Stevens in his dissent? Why? 21. A generous view of what constitutes an independent and adequate state ground would have the effect of turning more power back to states. Why, then, do the conservatives on the Court support the narrow view and the liberals on the Court the more generous view as to what is an independent and adequate state ground? 22. Justice Powell (in a speech to my law school class) argued that it was a good thing for the country to postpone a decision on the constitutionality of affirmative action programs. Could that belief, more than the doctrine of mootness, explain the Court's decision in DeFunis v Odegaard? 23. The question of ripeness and adversity presented in a case such as Poe v Ullman is especially difficult. Does the Court make sufficiently clear exactly what is required before a case seeking to enjoin enforcement of a statute in advance of enforcement will be heard? Is it clear whether the basis for the decision in Poe is Article III or the Court's own gatekeeping rules? 24. If the challenge to the Arkansas anti-evolution law (Epperson v Arkansas) had been brought by a professor at the University of Arkansas instead of by a high school biology professor, would the case then suffer from the "double contingency" identified as the problem in Poe? On June 14, 2004, the Supreme Court decided the closely -watched appeal of a Ninth Circuit decision finding the addition of the words "under God" to Pledge of Allegiance to violate the Establishment Clause.